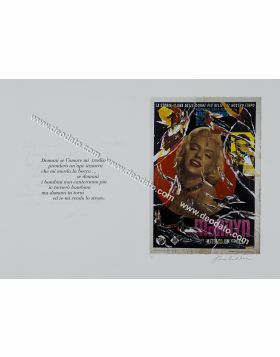 Somebody Up There Likes Me is a 1956 American film starring Paul Newman. 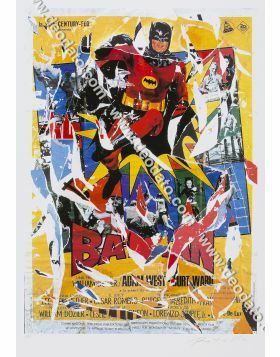 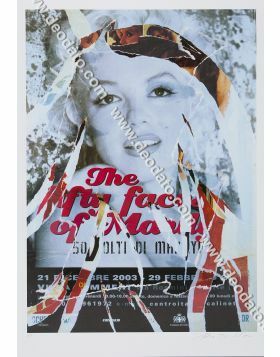 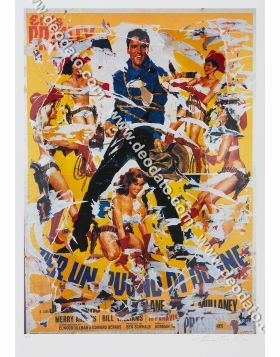 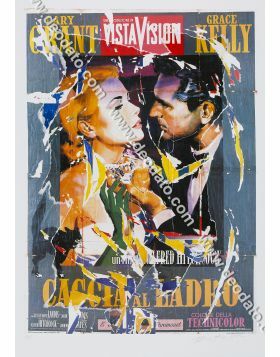 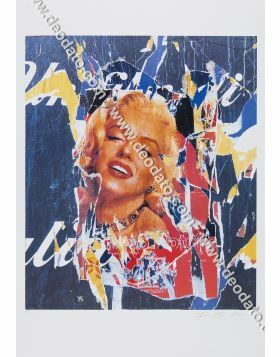 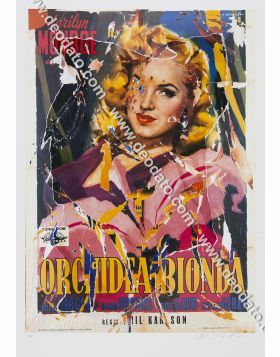 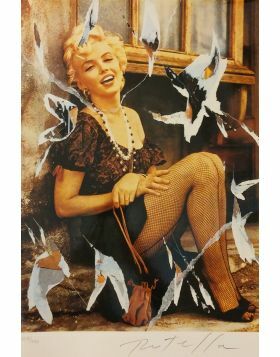 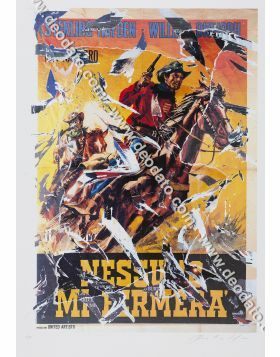 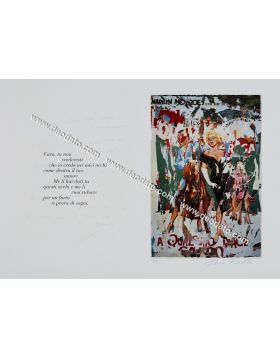 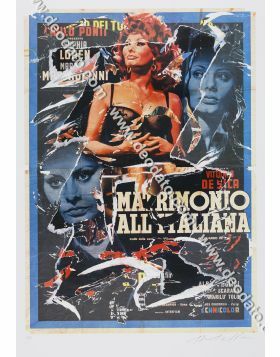 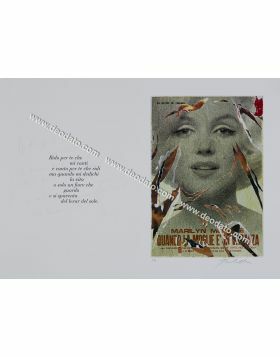 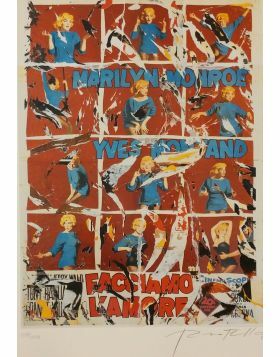 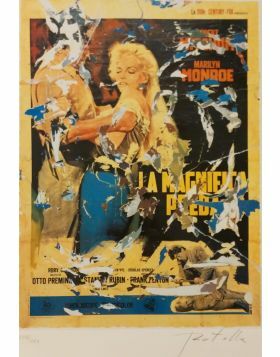 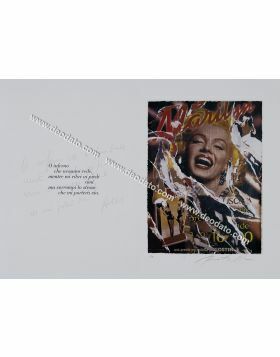 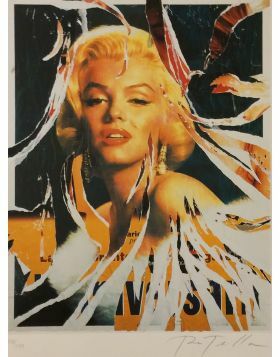 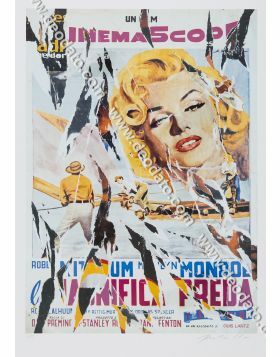 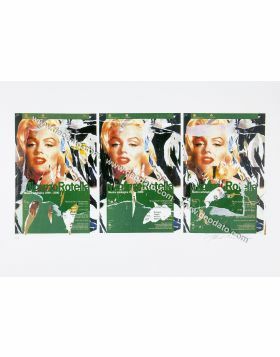 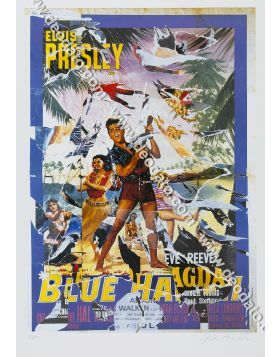 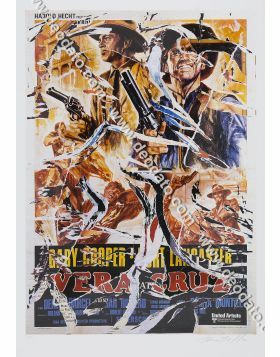 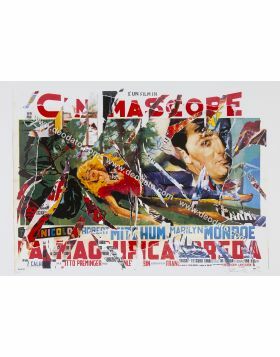 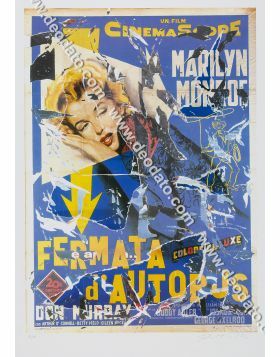 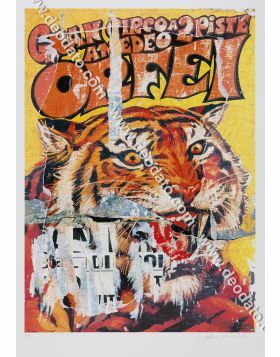 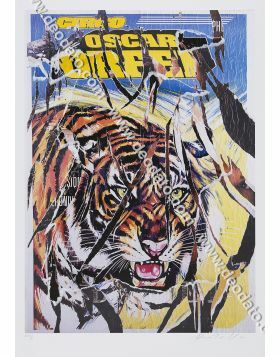 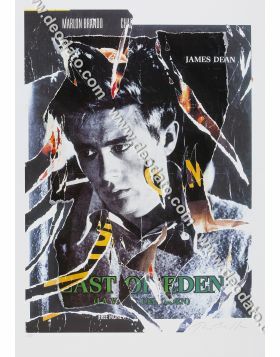 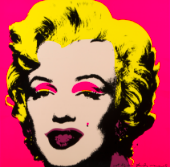 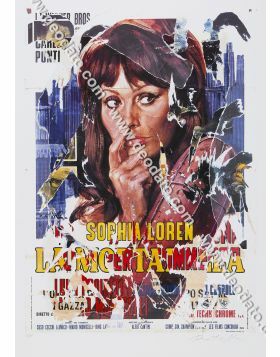 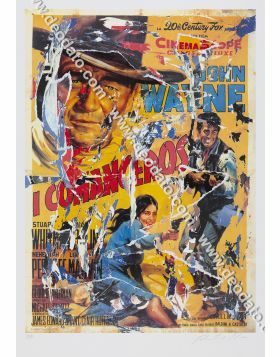 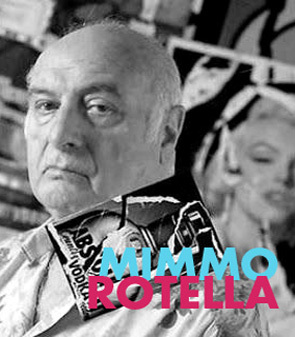 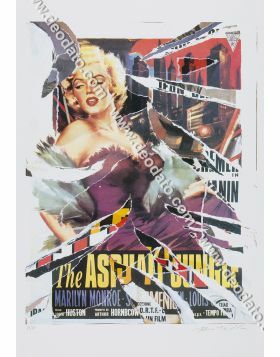 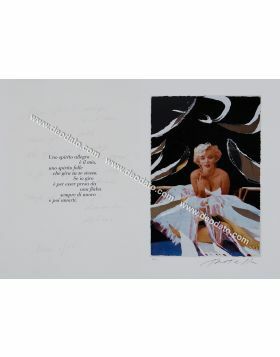 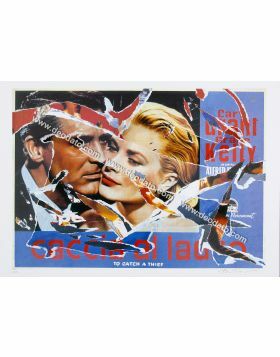 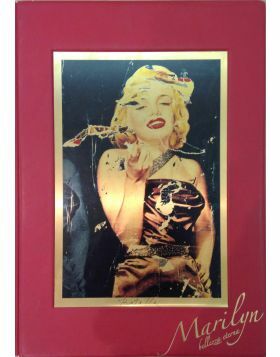 Mimmo Rotella used the film poster to do this SeriDécollage ripped by hand. 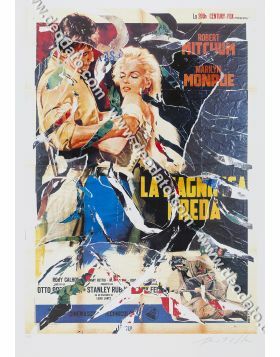 Memorable interpretation of Paul Newman that covers the role of the protagonist, initially destined to James Dean. 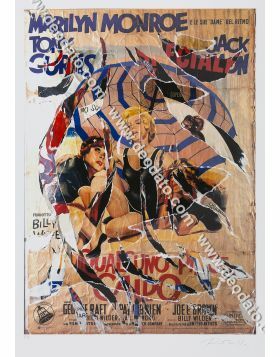 He is the italo-American myth of Rocky Graziano, champion of boxing that resurfaces from the slums of New York discovering himself. 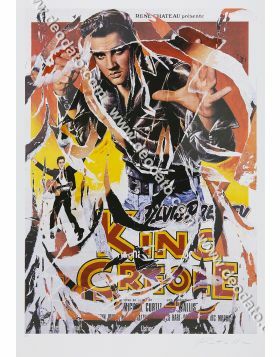 Winning of two Oscar prizes, for the photo of Joseph Ruttenberg and for the scenography of Cedric Gibson, Malcom Brown, Edwin Willis, Keogh Gleason, brilliant directoring of the great Robert Wise and aggressive and convincing interpretation of Paul Newman. 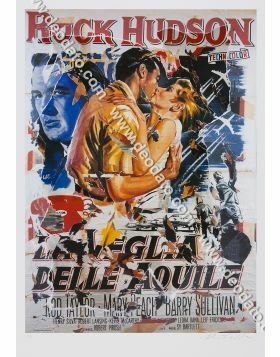 A beautiful film that tells the history of Rocco Barbella, drawn by the biography of the champion of boxe, known with the name of Rocky Graziano.